We’ve returned to the stairs leading to the control room and taken them to the first floor. 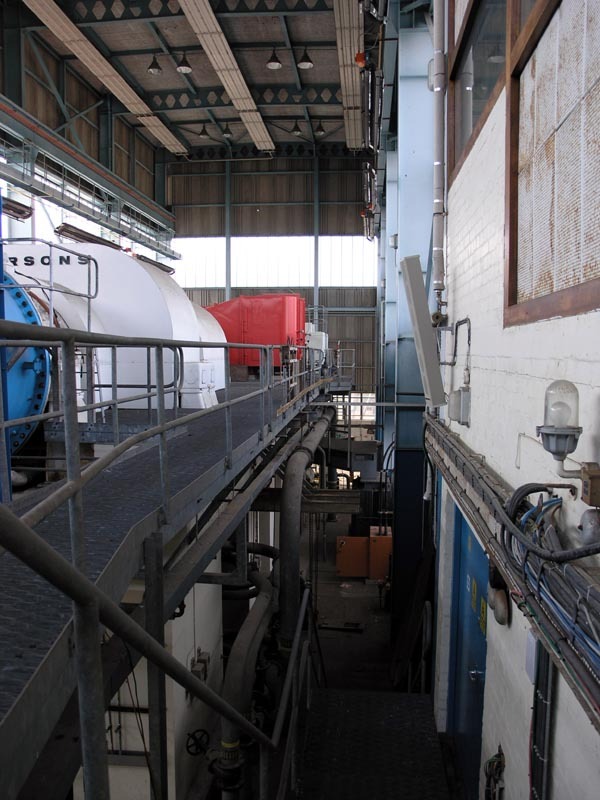 On the left can be seen the top castings of the Parsons exhauster machine and on the right can be seen the windows of the control room. View westwards from the stairs across the turbine.